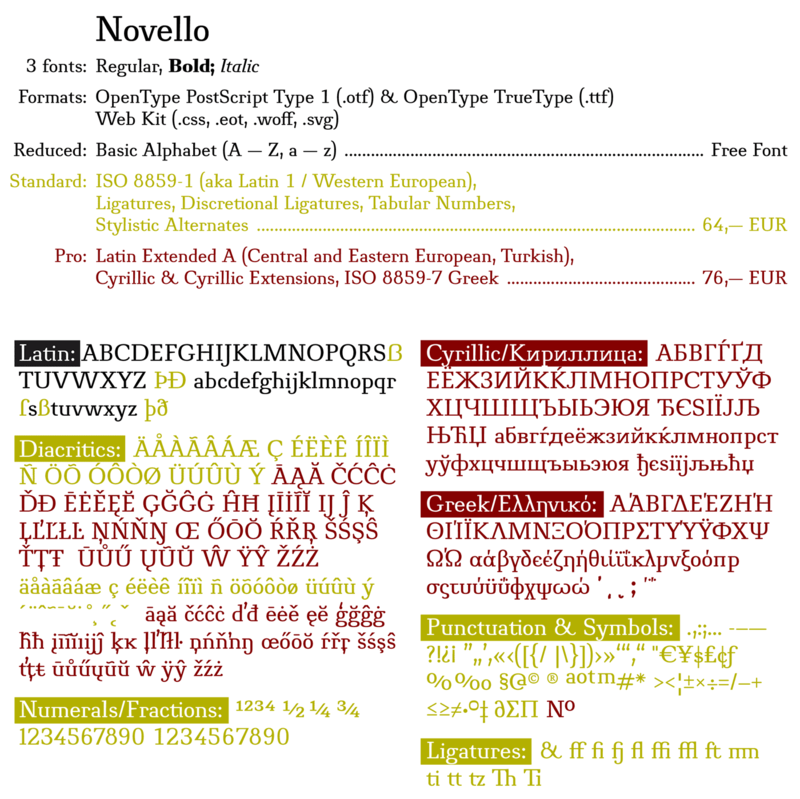 The goal in designing Novello was to create a robust, usable Antiqua which would also print well on low-quality paper and would remain clearly legible even under adverse circumstances. In order to attain this goal, all the traditional unnecessary weight which justifiably could be disposed of was. A bit of tradition remains in Novello thanks to alternating thick and thin strokes. 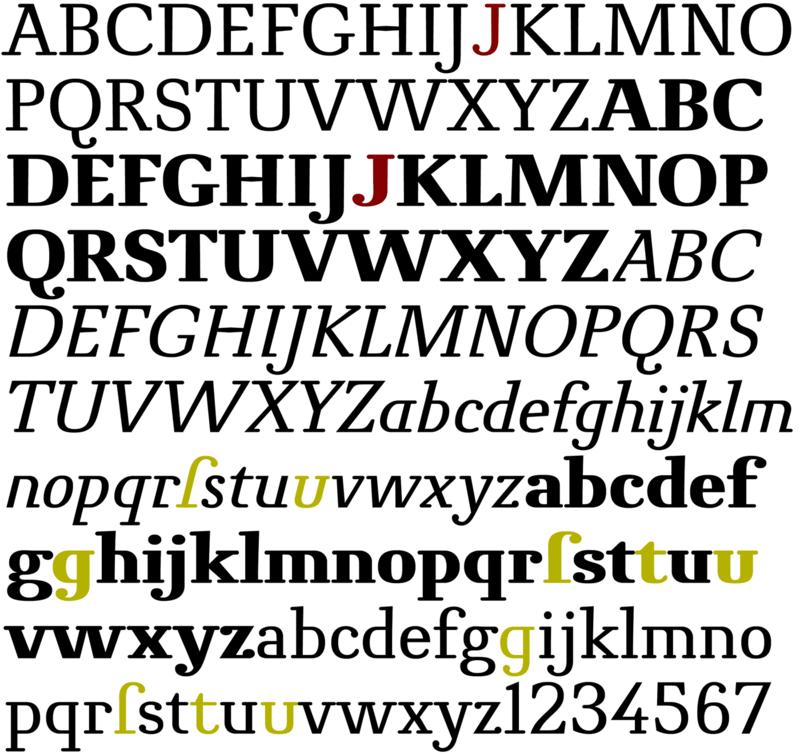 Basic character forms comply with what is generally considered the traditionally correct shape. 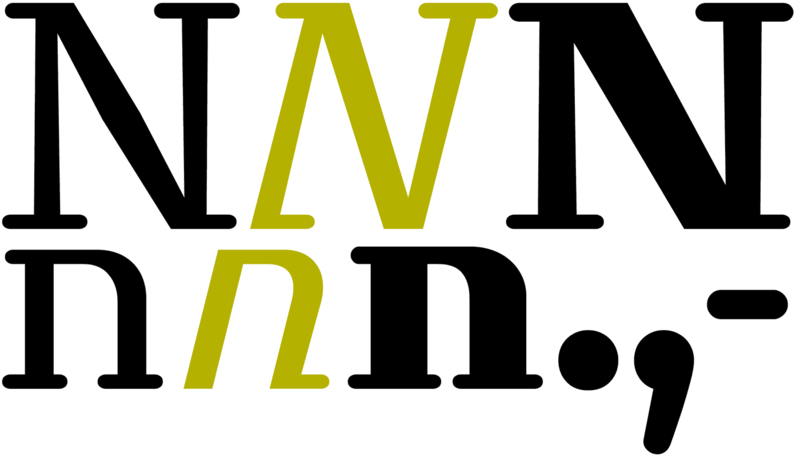 The short round serifs are attached to the bodies of the letters at a right angle while the alternation of strokes follows a legitimate construction. The most striking characteristic of Novello is the horizontal thin stroke as well as the joining in the stem on a b d h n m p q r and u. The typical gentle movement of the ”upstroke“ from the stem vanishes completely and is broken off so that a horizontal movement with emphasis on the right angle results on all of the aforementioned letters. In this way, unnecessary rounding off is avoided and the font leaves the impression of an almost modern sans serif type. Alternative forms of g, t and u are available. 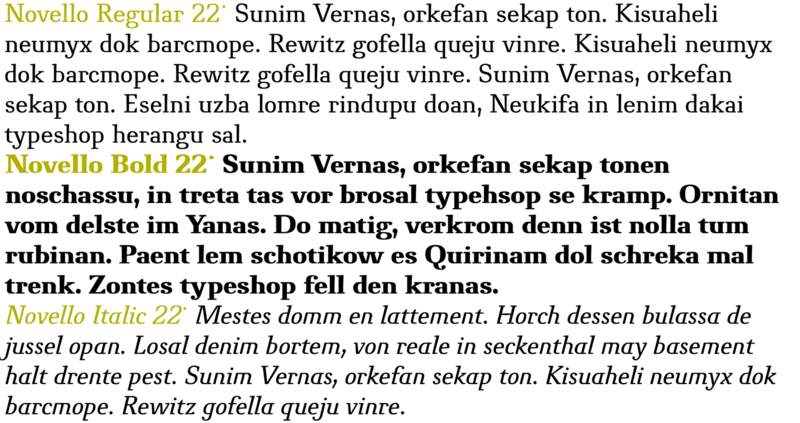 As with almost all ingoFonts, Novello also includes a capital ß and a long s.
A number of ligatures also belong to Novello which allows a more closed sentence structure. 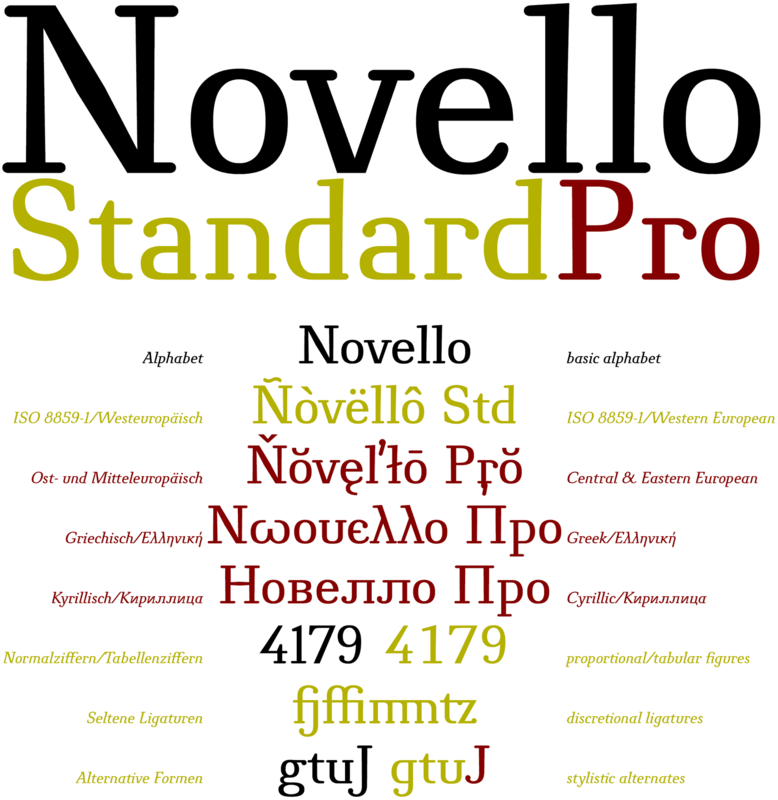 Novello is Unicode-coded; the Pro version supports all European-Latin font systems including the Scandinavian and Baltic languages, Turkish, Greek and Cyrillic.